Tired of the old-fashion baby monitors? 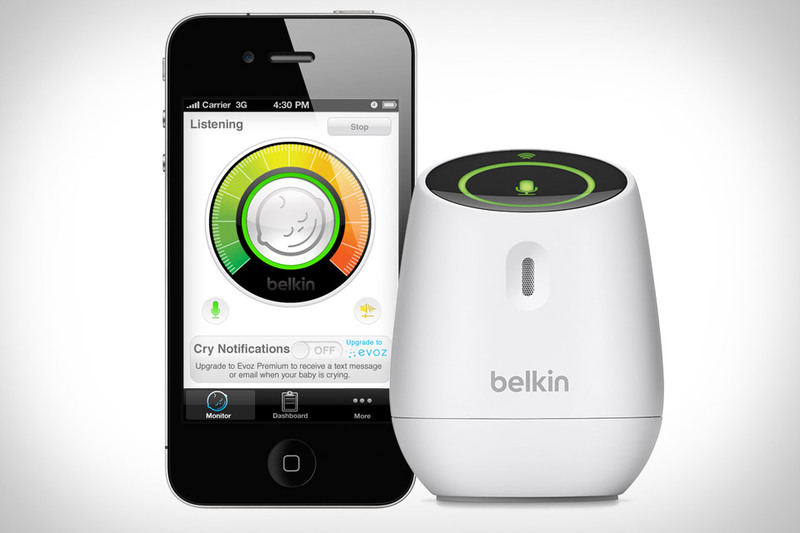 Well now we’ve got something for you… Presenting the Belkin WeMo Baby, priced at $90. You’ll be able to check in on the little fella using your iPhone, iPad, or iPod touch and it’ll connect to your home network via Wi-Fi. With an upgrade to their Evoz service, you’ll be able to get advanced monitoring, cry notifications, history, and an analysis of your baby’s sleep pattern.